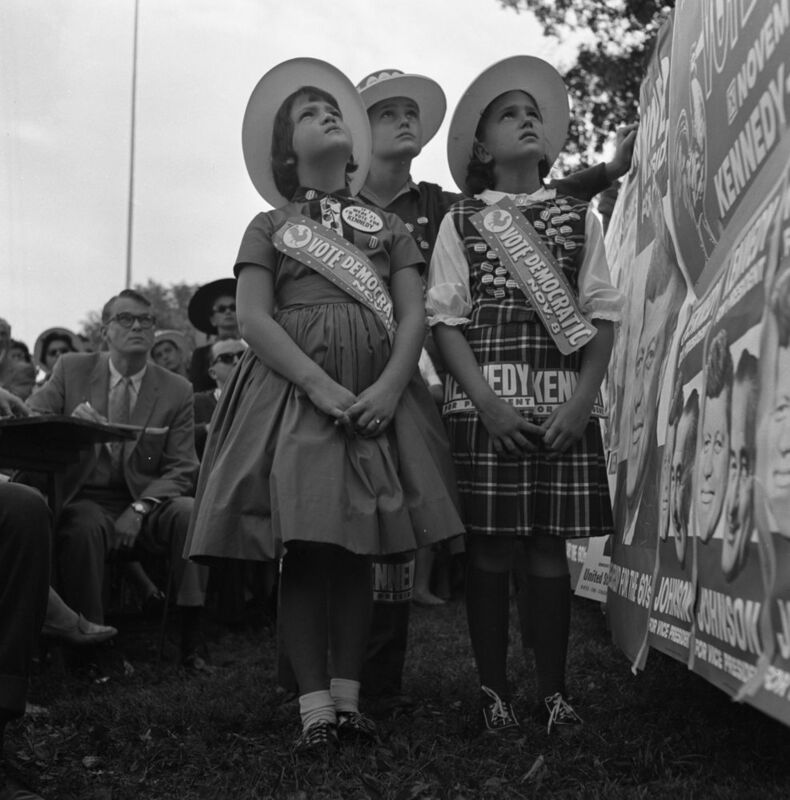 As we open our new exhibit, A Time For Greatness: The 1960 Kennedy Campaign, at The Sixth Floor Museum, our curator shares some insight into Senator Kennedy’s road to the Democratic nomination. John F. Kennedy was too young, too inexperienced to be elected president of the United States. So said critics of the Massachusetts senator, specifically those supporting Vice President Richard Nixon in the 1960 general election. However, that sentiment was echoed early on by key elders of the Democratic Party, including former First Lady Eleanor Roosevelt and former President Harry Truman. Today it seems inevitable that the charismatic Kennedy, with his broad vision and soaring rhetoric, would usher in the bold new decade of the 1960s. It feels historically appropriate that he would succeed Dwight Eisenhower, the oldest president in American history at the time, as the youngest ever elected—indeed the first president born in the 20th century. Yet in reality, John F. Kennedy’s victory in November, even his position as the 1960 Democratic nominee, was not a foregone conclusion when he announced his candidacy on January 2, 1960, in the Caucus Room of the U.S. Senate office building. True, he was a World War II hero and Pulitzer Prize winner for his book, Profiles in Courage. However, his political record seemed lackluster, and he had failed in his campaign for the vice-presidential spot at the 1956 Democratic National Convention. For many, including some Democratic leaders, the real drawback was Kennedy’s Catholicism—at a time when anti-Catholic prejudice was still a part of mainstream American thought. Proving his viability as a candidate, Senator Kennedy defeated Minnesota Senator Hubert Humphrey in the Wisconsin and West Virginia primaries. In the latter, a predominantly Protestant state, Kennedy took 60% of the vote, prompting Humphrey to pull out of the race. Unlike in today’s political world, presidential candidates in 1960 would not run in every primary. 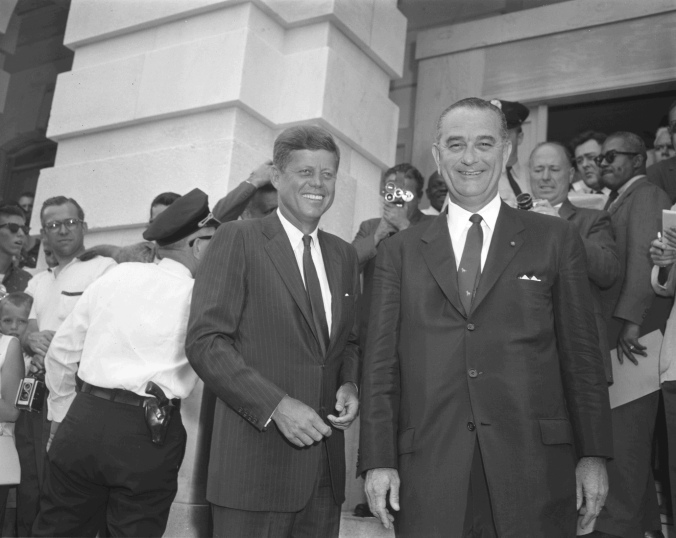 While Kennedy opted to participate in nine of the primaries, his main opponents for the Democratic nomination – Missouri Senator Stuart Symington (Harry Truman’s choice), former Illinois Governor and two-time presidential nominee Adlai Stevenson (Eleanor Roosevelt’s choice), and Senate Majority Leader Lyndon B. Johnson of Texas – all declined to participate. There was a “wait and see” attitude, and some party leaders hoped that Kennedy might settle for the vice-presidential spot in 1960. But Kennedy boldly declared that he was running for president, not vice president, and he traveled around the country to meet with state delegations. When he arrived in Los Angeles at the Democratic National Convention in July, the contest was not over but it was really his to lose. Far in the lead, he was a few dozen short of the delegate total needed to secure the nomination. And a couple last-minute surprises were in store. Though long considered potential candidates, just before the L.A. convention, both Lyndon Johnson and Adlai Stevenson officially announced their candidacies. Johnson engaged Kennedy in a lively televised debate, demonstrating to many that Johnson had little viability as a candidate outside of the South. Meanwhile, Adlai Stevenson’s supporters were quite vocal. A crowd of thousands welcomed his plane as it landed in Los Angeles, and dedicated followers shouted and chanted for the two-time Democratic nominee outside the convention hall. Kennedy’s younger brother, Bobby, proved a fierce and untiring campaign manager as he and his team secured and counted votes one by one. It was tense, frantic, and down to the wire. Democrats rallied around the Kennedy/Johnson ticket as they faced Vice President Richard Nixon and his running-mate, U.N. Ambassador Henry Cabot Lodge Jr., in the general election. Although the two-term vice president was considered the heir apparent to the popular President Dwight Eisenhower, Richard Nixon took his own winding path to the Republican nomination. That, however, is a story to save for another time. A Time For Greatness is now open! View it free at our exhibit-opening lecture TONIGHT with presidential historian David Pietrusza. RSVP to reserve your seat. To learn more about our new exhibit, visit JFK.org/ATimeForGreatness.